The New & Very Welcome (CT) "Your favorite emo banter!" 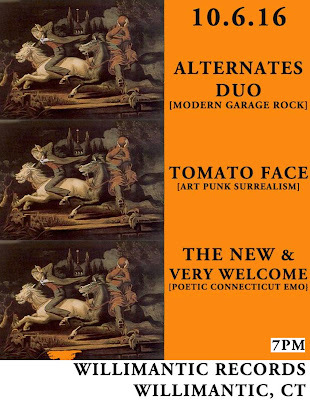 Tomato Face (PA) "Vitamin C punk rock!" 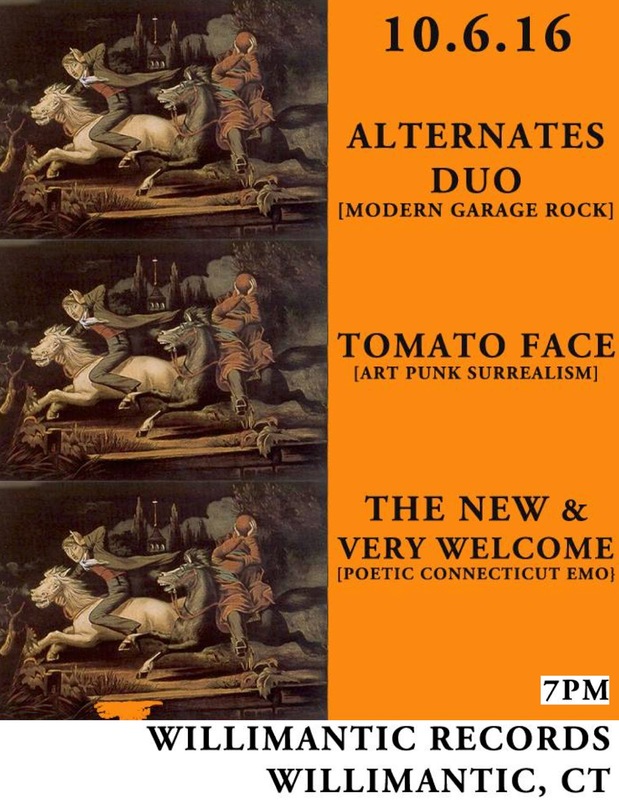 The Alternates Duo (CT) "Garage rock for the ages!" Thanks to Chelsey for putting this show together!